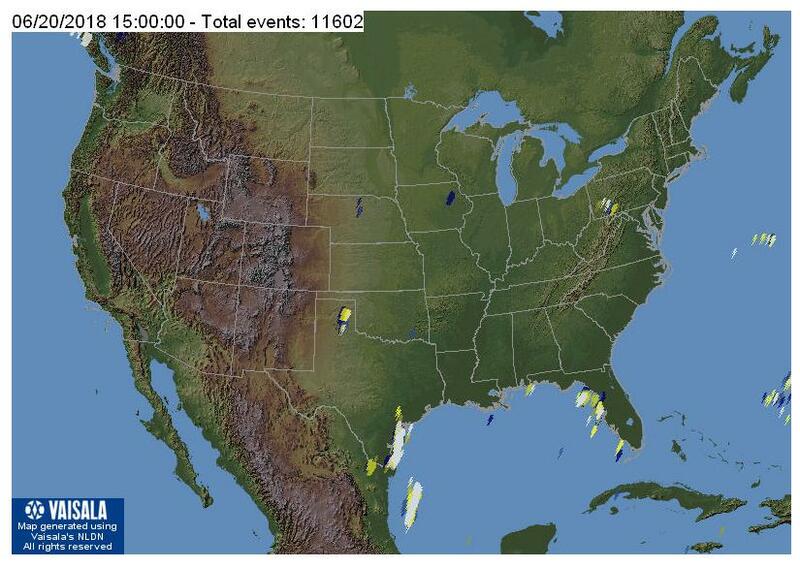 As it turned out, summer lightning noise was the least of CLE 235's problems! 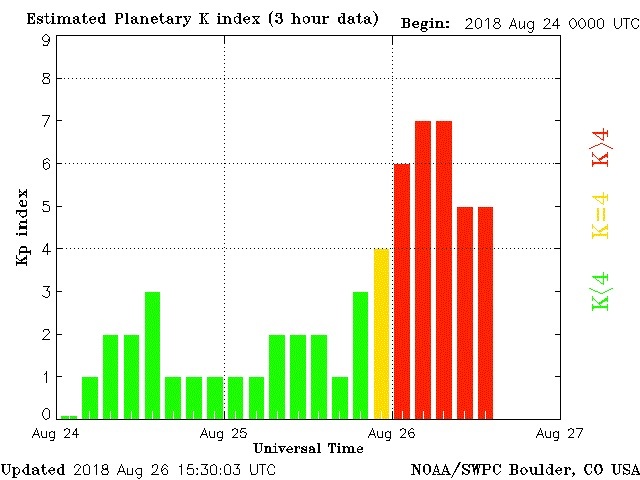 The weekend event saw its all too often 'solar hit' shortly after the start of the event, with Friday evening being the only night (in North America anyway) that had propagation. 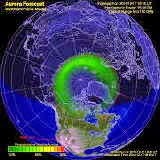 Saturday and Sunday nights were almost complete blackouts, with just one catch recorded on each night. With the K-index soring to at least 7, there was really not much to be heard after Friday night save for a very robust appearance from RG-352 at the Rarotonga International Airport, just before dawn on Sunday morning. Thanks to Dan, VE7DES, listening from the club station at UBC, for the tip!Disturbed conditions often seem to enhance the Pacific path but other than Hawaii, this was the only other signal heard from the west. Sunday morning found DPY-365 in Washington state. Up until that time, its signal had been completely missing-in-action ... but it was loud at 0100 local. Perhaps it had been down for maintenance and not on the air until Sunday. The results from ALL participants may be viewed here. This coming weekend will see another monthly CLE challenge. This time the hunting grounds will be 350.0 - 369.9 kHz. 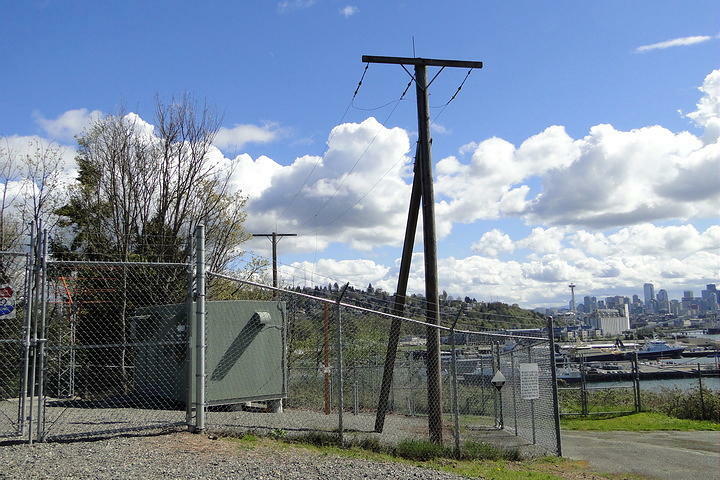 A really good challenge in this one is to hear BF-362, located in Seattle, Washington. I suspect that it's a 25-watter but is rarely logged outside of the Pacific Northwest region. If you are east of Montana and can hear it, your system is working well! Listen for BF's upper-sideband CW identifier (with your receiver in the CW mode) on 363.030 kHz while its lower-sideband can be heard on 360.943 kHz. 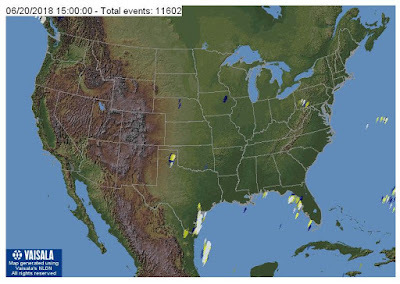 Although we are getting ever-closer to the fall DX season, lightning storms may yet be a problem, but at this time of the year we may get a lucky few quiet nights like this one in mid-June. Here are the full details for this weekend's co-ordinated listening event. This range is a busy one, usually giving us a high number of NDBs heard. We last concentrated on these frequencies during CLE219 in May 2017.
but not 370 kHz) plus any UNIDs that you come across there. (the day changes at 00:00 UTC). such as Location, Distance, Offsets, Cycle time, etc. send your 'FINAL', complete one. We will send the usual 'Any More Logs?' email so that you can check that your log has been found OK. It includes a link to seeklists for the Event from the Rxx Database. 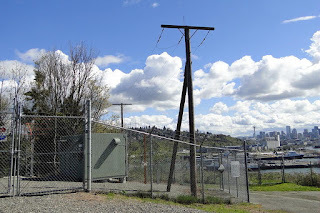 You may recall a recent blog regarding my installation of a new pair of inverted-V dipoles, fed from a common coaxial feedline at around 85'. Both antennas 'hear' very well and everything was peachy until I recently put the inverted-V's on my Perseus SDR. Perhaps others can help explain something odd that I have just noticed with my Perseus while comparing antennas. I was comparing signal levels and noise between a 40m half sloper and a very high dual 40/80m pair of inverted-V dipoles fed from a common feedline. Both the sloper and the dipoles are fed with 50 ohm cable and all three antennas are well matched at the low end of the band(s). Listening to a 6 MHz signal from China National Radio around 10 am today, the signal was around S7-8 on the Perseus, using the 40m sloper. Listening to the same signal, at the same time, on the Yaesu FT-1000mp, with the high inverted-V, it was slightly better, maybe by 5-6 db and overall lower noise. I then put the inverted-V onto the Perseus and there was not even a trace of the signal! I made this check with several signals and always with the same result. Now I suspect that the SWR of the 7MHz inverted-V when used at 6MHz, is very high and the load presented to the Perseus antenna input is likely highly reactive and far from 50 ohms but that doesn't seem to bother the FT-1000. I then ran the inverted-V through my antenna tuner so that it effectively produced a 50 ohm non-reactive input load for the Perseus and did the tests again...with the same results. Swapping antennas for the 40m sloper once again produced the same signal levels in both the Perseus and the FT-1000. So what is going on here and why does the Perseus balk at the 7 MHz inverted-V while listening on 6 MHz? Is there something in the Perseus front-end analog filtering system that is overly sensitive even though the reactance was tuned out via the tuner? Is it the 80m V on the same feedline as the 40m V that is causing some still unwanted reactance that is not tuned out with the tuner? Any ideas what is happening here as it looks like I will not be able to use the inverted-V antennas on the Perseus for general SWL out-of-band listening for some, as yet unknown, reason. As you can see, I was completely mystified by what I was hearing, or rather not hearing, and as it turned out, completely off the mark. I received a few replies offering some possible reasons for what I was seeing but none of them proved helpful in solving my dilemma ... until Roelof Bakker (PAØRDT) weighed-in! Roelof suggested that I look at the antenna's performance while running Perseus's built-in 'HFSpan' function. 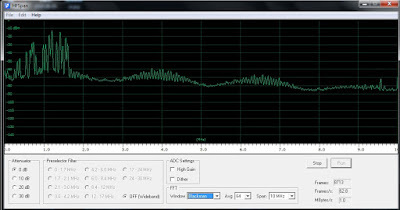 HFSpan is a stand-alone 0-40MHz spectrum analyzer, that comes with the Perseus software. Although I was aware of it, I have only used it sparingly. I next did some screen captures with all three antennas, one at a time, and sent them to Roelof. His analysis did not take long as he immediately identified my problem ... a very high noise floor when using the mysteriously-performing inverted-V. Roelof suggested some common mode choking to eliminate the problem. Already having an isolating transformer in hand from a previous experiment, I inserted it directly at the Perseus antenna input and looked at the noise floor again, around 40m. The transformer was wound on a small FT87-J core with a 3 turn primary directly opposite a 3 turn secondary. I was astounded to see the background noise floor drop from -85dbm to a very quiet -110dbm! Evidently there was a lot of noise being picked-up on the inverted-V's feedline shield. Not hearing any of this noise on the FT-1000 indicated that the noise was probably associated with the Perseus power supply, the laptop or the laptop's power supply. This immediately explained why I wasn't hearing anything with this antenna when used with the Perseus. 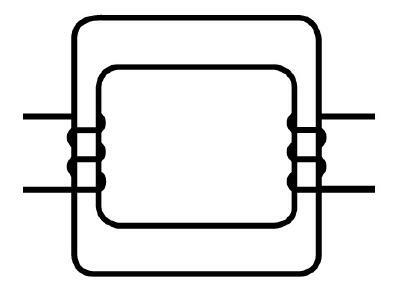 Roelof then suggested that a 2 turn / 2 turn transformer, offering less inter-winding capacitive coupling, might provide even more isolation ... and he was right again. A further ~4dbm lowering of the ambient noise was measured. It may not be pretty but it produced an astounding improvement! Further comparisons between the FT-1000 and the Perseus revealed that the FT-1000 was still producing a slightly better SNR than the Perseus, when using the inverted-V so evidently there was still some noise affecting the signal. I had a few very large #43 ferrite toroids and decided to wrap a few turns (5) of the RG8-X feedline around the toroid to see if there would be any improvement. Once again, using HFSpan, I compared the noise floor both with and without the #43 choke and saw a further 6-7 dbm improvement! Going back to comparing SNRs between the FT-1000 and the Perseus, I now saw no difference between how I was hearing on both receivers, when using the troublesome inverted-V ... eureka! Here are the 'before' and 'after' screen shots using HFSpan, the Perseus built-in spectrum analyzer. Both screen shots were taken at the same time (mid-afternoon) and show the results of the noise mitigation work. This problem was a great learning experience for me, in more ways than one and I am most grateful to Roelof for his detective work and experience with noise issues and for taking the time to respond to my initial inquiry. Hopefully you may find something here that can help you as well. 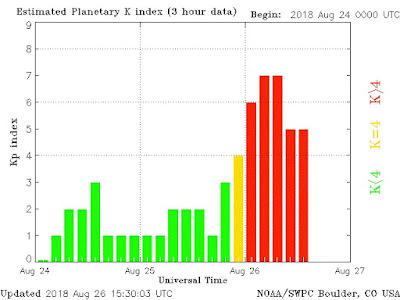 This past weekend's 'Barn Door' CLE' saw a lot of participation, in spite of the mid-summer doldrums and the universal nasty lightning noise. 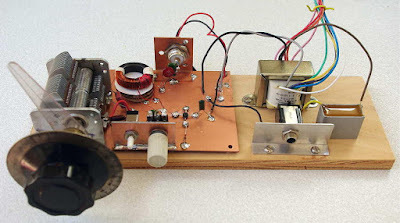 After reading CLE-organizer Brian Keyte's interesting posting to the ndblist, describing his homebrew single transistor regenerative receiver, I was inspired enough to dig out the soldering iron and build one for myself. 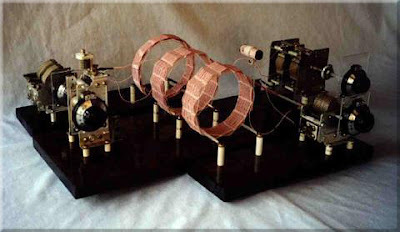 The circuit widely described as a '1AD regen' was originally designed several years ago by crystal-radio guru Mike Tuggle out in Hawaii. 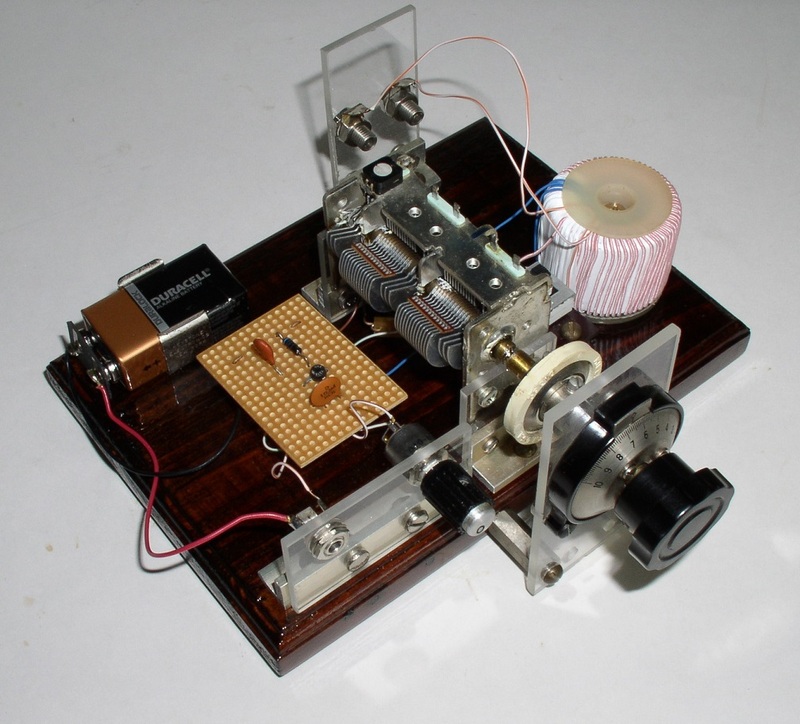 Mike is widely known for his exquisitely designed "Lyonodyne" DX crystal radio, which inspired an entire decade of intense DX crystal radio building activity back in the late 90's. His '1 Active Device' medium-wave regen consists of a handful of simple components and a MOSFET that is up to the task. His design was, and still is, being duplicated by many throughout the NDB DX listening community. Mike recently sent me the circuit diagram that he eventually settled with, showing two possible ways of extracting audio with the widely popular Bogen T725 output transformer. My own version used Mike's output scheme on the right and the RF circuitry in Roelof Bakker and Steve Ratzlaff's modified version, shown below. I had to increase the tickler (feedback) winding from 4 turns to 11 turns in order to get any regeneration. With 11 turns, my regeneration kicked-in at about three-quarters from the end of the regen control. At some point in time, while testing, some of the leads from my Bogen T725 output transformer momentarily brushed against each other, smoking my FET. Upon replacing it with another BF966, the receiver was much hotter, with regeneration kicking-in very close to the start of the pot. I'm not sure if the first FET was already damaged or that there is enough variation from FET to FET (of the same type) to make some have more gain than others. Accidentally blowing up the FET proved beneficial in the end! Although most users employ sensitive sound powered headphones with their regens, including myself, some use modern phones with an extra stage of audio, such as an LM386. Although not nearly as pretty as Mike's regen, my own 1AD was built in an afternoon, just for the recent Barn Door CLE. I later added a calibrated dial plate, breaking the segment from 200kHz to 550kHz into two separate bands, with calibration ~ +/- 1kHz so that I pretty much new where I was tuning at all times. This allowed me to target specific beacons and wait for them to fade up. When first published, Mike suggested the BF966 MOSFET seemed to work well and I purchased five of them with the intention of someday building a 1AD for the NDB band. The purchase came in handy, as today, the BF966 is no longer available. Apparently the similar, and still available BF998 works well (from tests done by Steve Ratzlaff) but is now in an SMD package at just 18 cents! No doubt there are dozens of MOSFETS that will do the job and at these prices, experimenting with various devices would be a very worthwhile project. I ended up with 70 stations logged, including a couple of Alaskans, in spite of the horrendous lightning noise on all three nights. Doing another 'Barn Door CLE' in the middle of the quiet DX season would be much more exciting and several 1AD users have indicated an appetite for such an event. If you put something together please let me know as having an army of 1AD's ready to go would be a great incentive to schedule another Barn Door weekend!